On a beautiful May morning,I convinced my parents and Malcolm to pose for me by the pool. I was lazily messing about on Facebook a while back when I came across this page “la sardegna vista da vicino”. What surprised me most was the amount of pictures taken locally (between 20 mins and less than 2H00′ s drive from the villa) . So I’ m sharing them here . 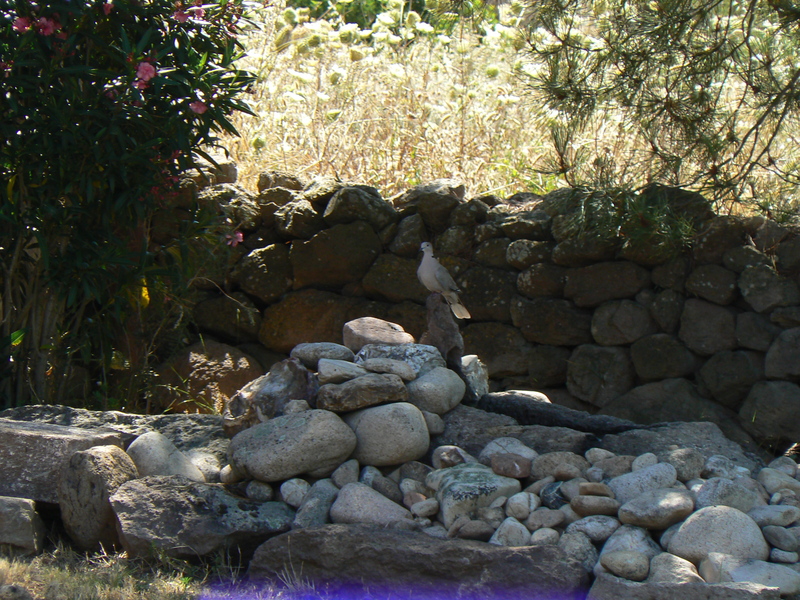 The front garden was so lovely with with the newly cleared nuraghe (we cut back the undergrowth to show its impressive structure better) and the elderflower tree in all its glory. This year, poppies made their first appearances too. And much to my happiness, my elderflower hedge is growing strong too. 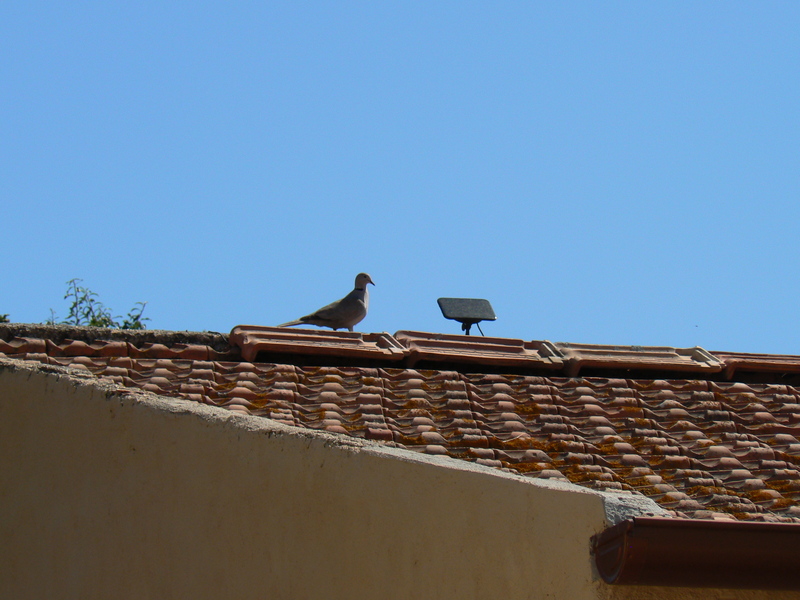 Since last year, we noticed a couple of collared doves hanging around the villa . They were regularly coming down to the fountain to drink. This year, we seemed to see them around a lot more. 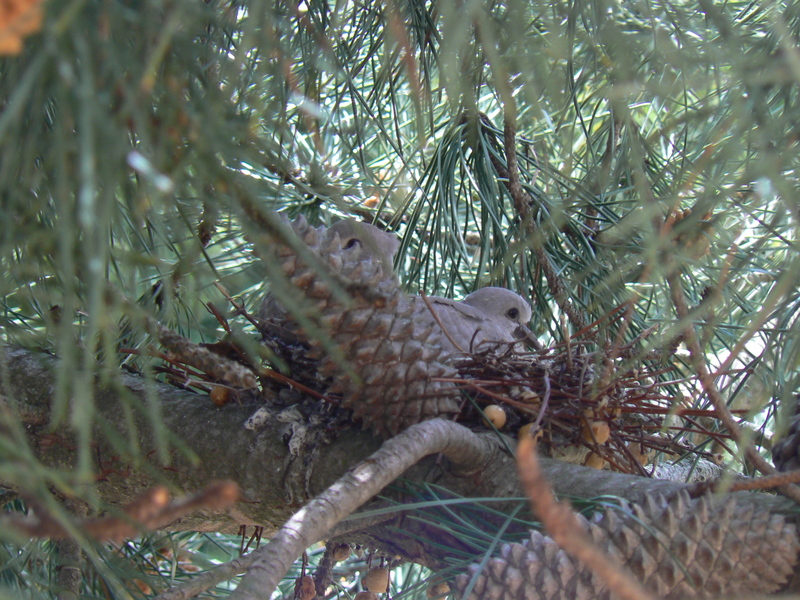 And Malcolm quickly found out why : they were nesting in the pine tree near the pergola. 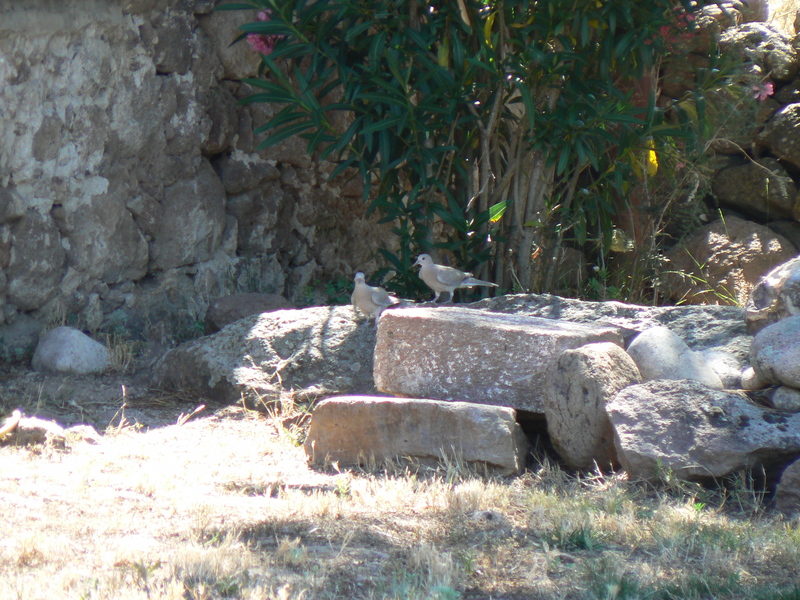 And soon enough,we saw 2 eggs ….transforming into 2 fledglings , growing happy and strong. Until 1 afternoon, I saw a hawk flying low near the pine tree, with a prey in its talons. I just instantly knew it was one of our baby doves. All I could do is shout “no,no,no” in disbelief and horror as the buzzard flew away, pecking at the fledgling, clouds of feathers flying off in the distance. I ran to the nest and as I feared, I found it empty. I am fully aware of nature’s balance but couldn’t help thinking this was unfair. I obviously grew fond of that bird family and felt for the poor parent I saw sitting quietly on the wire above the now empty nest. 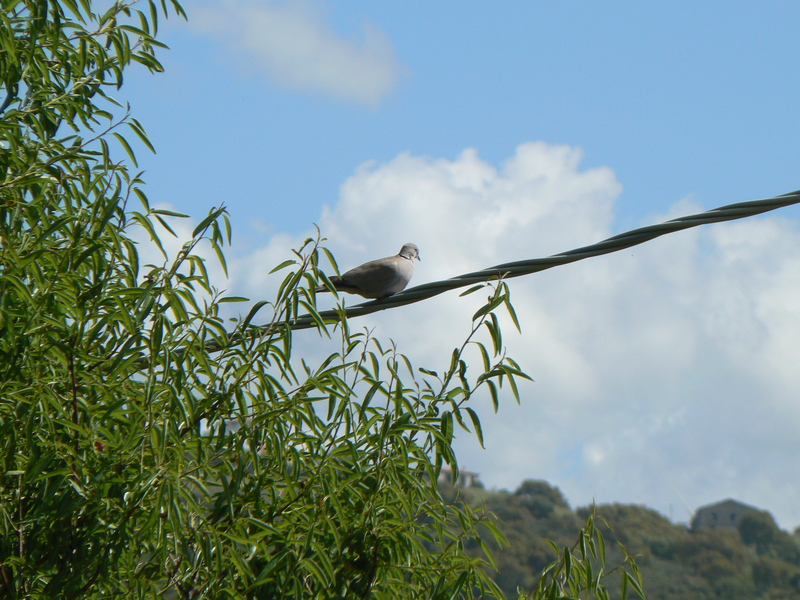 I hope you too will enjoy seeing and hearing them perched on the wire or having a drink at the fountain.